When Thomas Rose first spots the girl hidden by the roadside, she looks as drab as a lark, with only her red kerchief giving her away. But French Hélène, who goes by "Ling," is no ordinary bird. 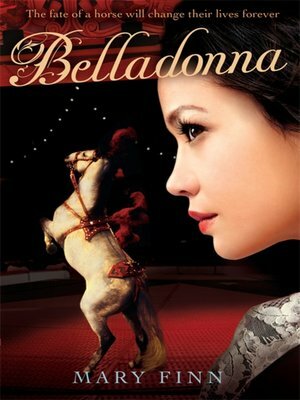 Tiny Ling enchants Thomas with her wild spirit and tales of a circus where she danced atop her beloved horse, Belladonna. But the horse has been sold, and Ling must fetch her back. Now Thomas's life as a clever but unschooled wheelwright's son is about to change. Their search leads to painter George Stubbs, who euthanizes ailing animals in order to study their anatomy. Stubbs draws eerie horses that stride as if they could move out of the paper world into the real one - but he assures his young friends that their horse is safe at a nearby estate. As Ling and Thomas devise a risky plan to recover Belladonna, Stubbs hires Thomas as an apprentice, teaching him to read and write as well. In this fascinating story, Mary Finn incorporates a real eighteenth-century artist into a beautifully imagined tale of adventure and young romance.